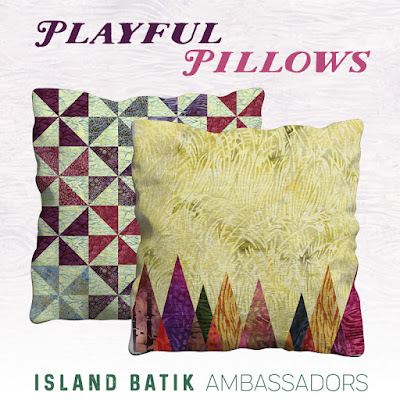 Websterquilt: Island Batik Ambassador's Playful Pillows! 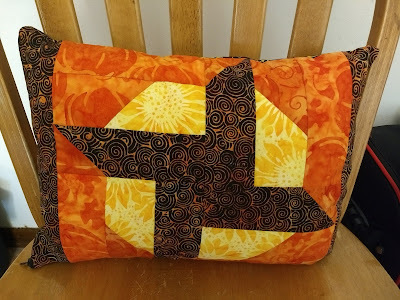 When I saw the theme for this month's Island Batik Ambassadors challengeI decided to have some fun with a block I created for a fellow Island Batik Ambassador's Pattern by Jen's monthly color challenge. 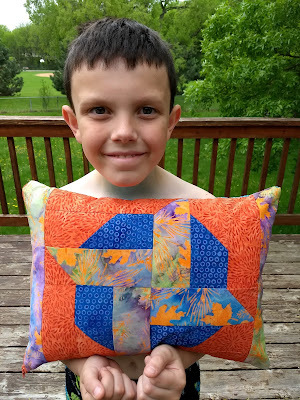 I let each of my children pick out three fabrics from my lovely stash of Island Batik Fabrics. Here are my younger son's picks. 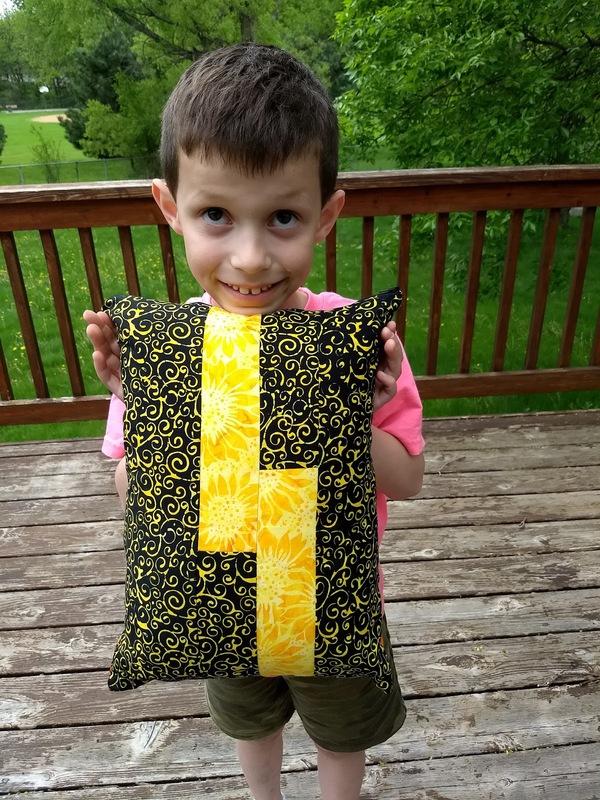 He insisted on the black and yellow fabric for the back, but there wasn't quite enough so I added some yellow strips. Here are the fabrics my older son picked. I love this color combination. 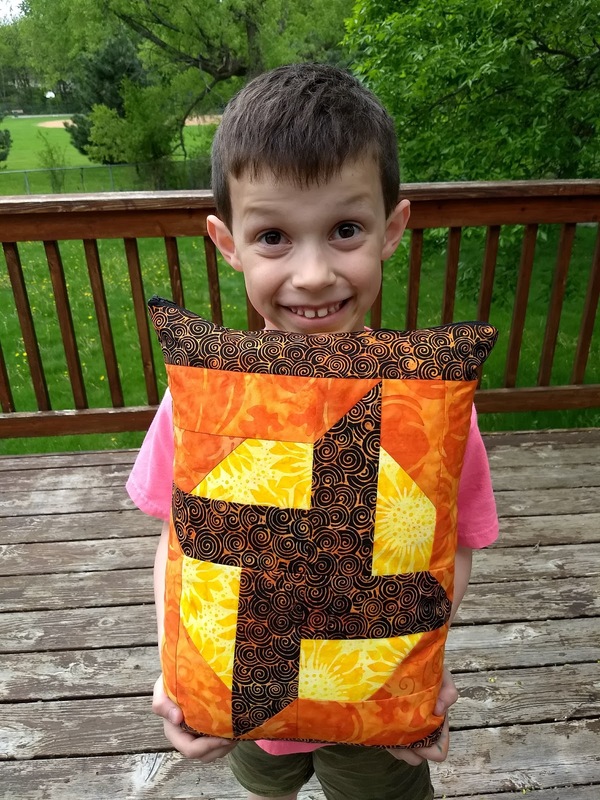 He's quite happy with his pillow too! It was such fun to make something that they were so happy about. AND I actually sewed a side zipper into the pillow for the first time! They both slept with their new treasures last night. lol love the expression on your younger boy's face. Kids can seemingly never have enough pillows, at least mine can't, so I'm sure these will be well loved. 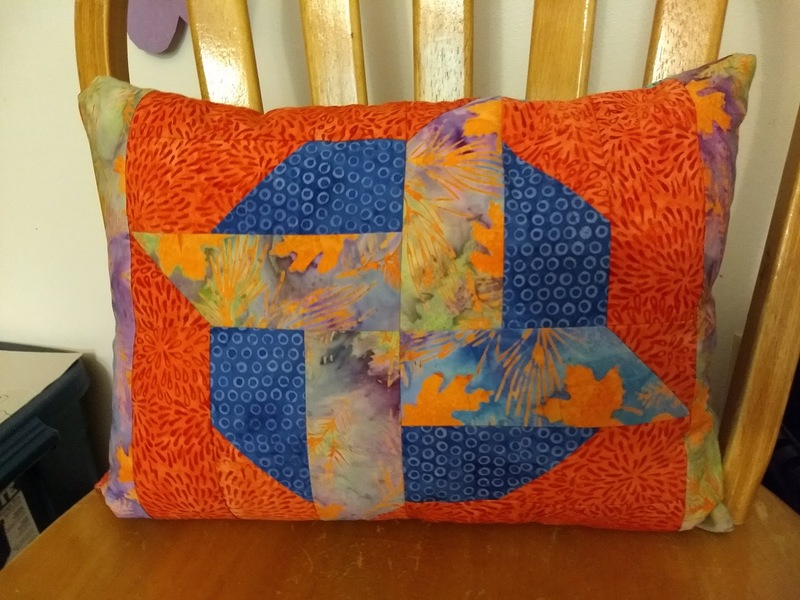 Nice pillows, good color combinations. If youngest is a Harry Potter fan, tell him the yellow is Harry's lighting bolt. The smiles make the projects worthwhile, don't they!? I love their grins. So fun that they used them right away! Island Batik Ambassadors Great Outdoors Blog Hop! Wish Upon a Star Blog Hop! 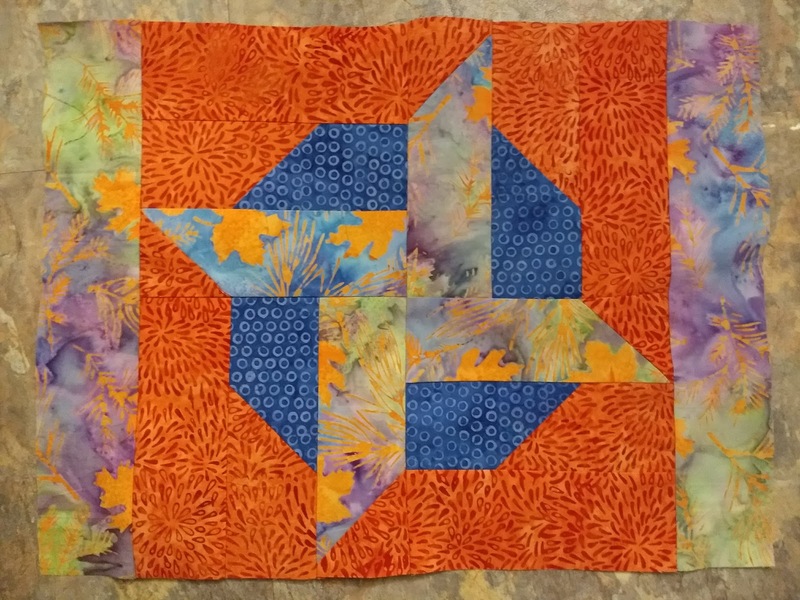 The Wish Upon a Star Blog Hop Starts Today! GlaMore Thread...OMG I can't wait! Mini Bear Portrait Embroidery || Free Pattern! What A Wild Fabric Trip It Has Been & It Is Only Getting More Fun! AccuQuilt Baby Quilt Challenge and TGIFF!